We've all read about deadly outbreaks of Legionnaires Disease cropping up in cities across the United States. Hundreds of people have been severely sickened and dozens killed by deadly bacteria that proliferates in water systems like the cooling towers used in conjunction with large HVAC systems. Poor water flow and areas where water is stagnant, common to cooling tower designs with a large flat bottom basin, which will have stagnant water in the corners. Chemical Water Treatment: Oxidizing Biocides are recommended as the best mode of control. Warning: this type of biocide can be aggressive towards metal surfaces; specifically metal cooling towers. System Design & Engineering: No stagnant water, sloped basin, and/or basin sweeper system. Maintenance – Competent consistent water treatment and monitoring most important. According to the Center for Disease Control and Prevention, about 5,000 cases of Legionnaire’s disease are now reported each year in the United States. Cooling towers have a long history of effectively expelling heat from the water used in many commercial and industrial applications. However, a recent study from the Center for Disease Control and Prevention (CDC) found that an overwhelming majority of the cooling towers they tested contained Legionella DNA. Legionella bacteria can flourish in cooling towers and spread to humans when expelled water vapor or mist containing the bacteria is inhaled. Research in Legionella prevention led to conclusions that cooling towers with rounded basins and compounded with an antimicrobial resin significantly mitigated risk of harmful bacteria. Rounded towers improve circulation which inhibits growth, and the anti-microbial chemicals embedded into the tower’s HDPE material also helps to prevent the growth. Resulting from the research, the Anti-Microbial Cooling Tower, was developed by Delta Cooling Towers, Inc. and is now available to greatly reduce the growth of Legionnaires bacteria, By incorporating an anti-microbial HDPE resin in the cooling tower shell, tower fill and drift eliminator, tests have confirmed efficacy against the growth and spread of Legionella. For more information on Anti-Microbial Cooling Towers, visit this link. 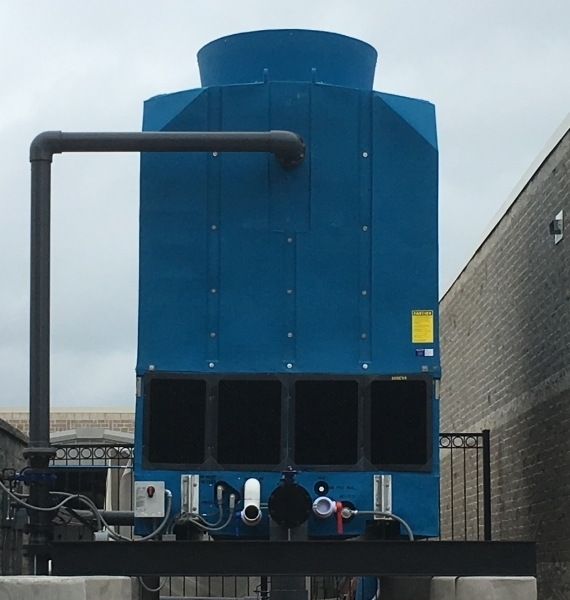 To learn more about Anti-Microbial Cooling Towers right now, call Mountain States Engineering and Controls at 303-232-4100.